Sagging Basement Ceiling Insulation | Fiberglass Insulation Beginning to Sag? Dropped ceiling hides unsightly unfinished ceiling, but allows easy access to plumbing, ducts & wiring. Ceiling system includes recessed & rectangular lighting. 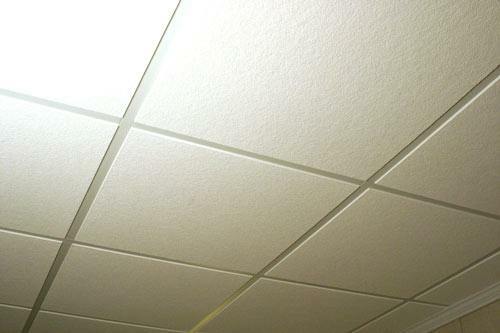 Ceiling tiles are made from inorganic mineral wool, which has excellent insulating value and resistance to moisture damage. 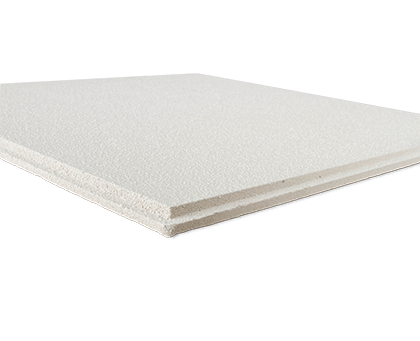 Tiles provide both thermal & acoustic (soundproofing) insulation. 30-year warranty against sagging & mold. 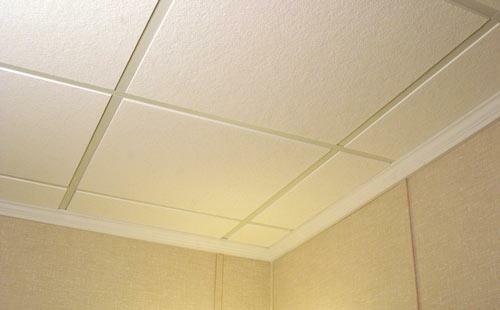 Basement Systems ceiling tile's are only available from a certified installer in your area. Contact us to request an inspection & get a free cost estimate to have it installed in your home. Batts aren't for the basement. Fiberglass bat insulation installed between basement ceiling joists can insulate the floor upstairs, but it won't improve comfort in the basement. Ceiling tiles from Basement Systems provide extra thermal and soundproofing insulation, while also enhancing the appearance of your basement. 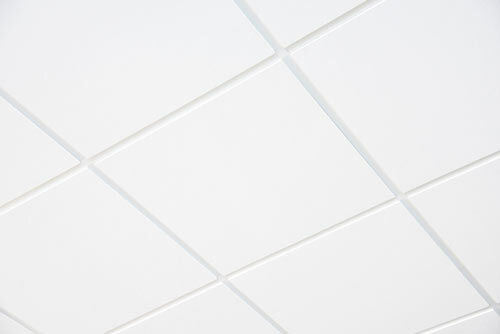 Our premium-quality ceiling tiles are part of an innovative dropped ceiling system that includes an attractive steel grid and built-in lighting. 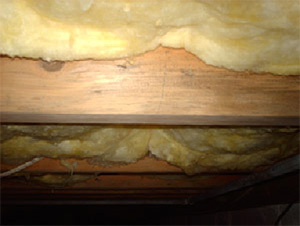 Many homes have basement ceiling insulation, in the form of fiberglass batts that are installed between ceiling joists. But this insulation does nothing to make your basement more comfortable, and it can’t stop cold drafts from coming into your upstairs living space. Function & beauty. 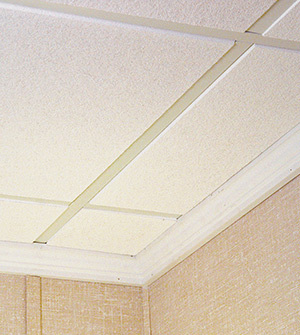 Our insulated ceiling tiles will help make your basement more beautiful and more comfortable. Reduced sound transmission upstairs is another notable benefit. 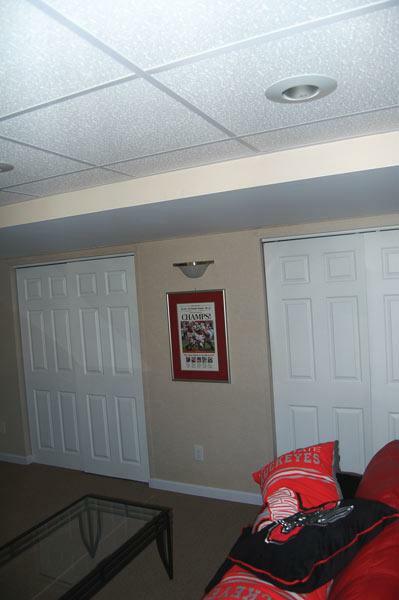 If you're planning to create a finished basement, our dropped ceiling system is an excellent investment. The finished ceiling will hide unsightly framing and fiberglass insulation, while still providing easy access to overhead wiring, plumbing and ductwork. 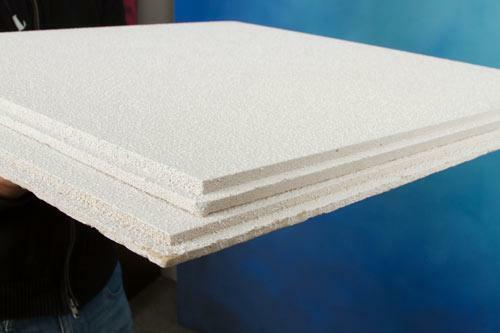 While many standard ceiling tiles are made from cellulose-rich materials that can attract mold and sag over time, our ceiling tiles are made from inorganic mineral wool. They won’t attract mold or be damaged by moisture. In fact, they come with a 30-year warranty against sagging and mold damage.